I have been working on PBIS expectations for classroom decor sets. I am finding out different schools have different expectations. Our school has the "4 Be's". They are: Be Respectful, Be Responsible, Be Prepared, and Be Your Best. In the decor packs, I am also including: Be Safe, Be Kind, and Be Happy. 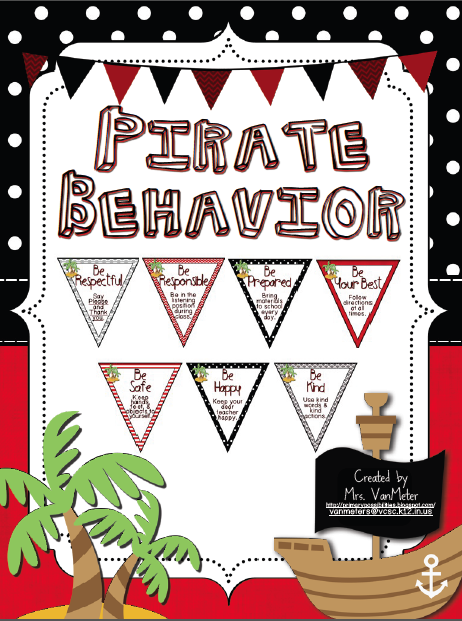 Pirate Behavior is a sample of what I recently posted in my TpT store. What I am wanting to know from you is... What are your school's PBIS expectations? Please comment below. I am curious as to what other schools value as their expectations. Our city has almost finished the reconstruction of the Rainbow Beach Aquatic Center. The original was constructed in 1936 and had sand. As a teacher, I can only imagine the sand in the pools and the mess in the cars when riding home. Then the facility was remodeled in 1971. This past winter and spring they updated it again. 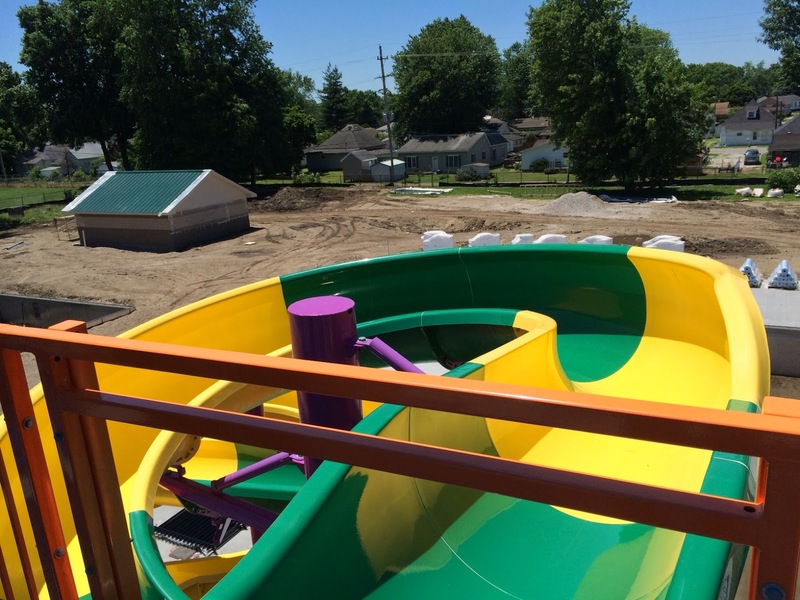 Now we will have this super cool aquatic center for kids (and adults). I am so excited to take my kids next month!! I know I will see many of my students and previous students. Maybe when the rain stops... I will make it out to the new water park! I have been taking my sons to vacation bible school this week. I loved vacation bible school as a kid and am so happy that they are having the time of their lives too. The theme is around "special agents". They made these really cool special agent brief-cases earlier this week. They are made from a cereal box. The keyboard has a small piece of Velcro and folds down. The teacher in me was super excited to see these and thought of many things they could be used for. 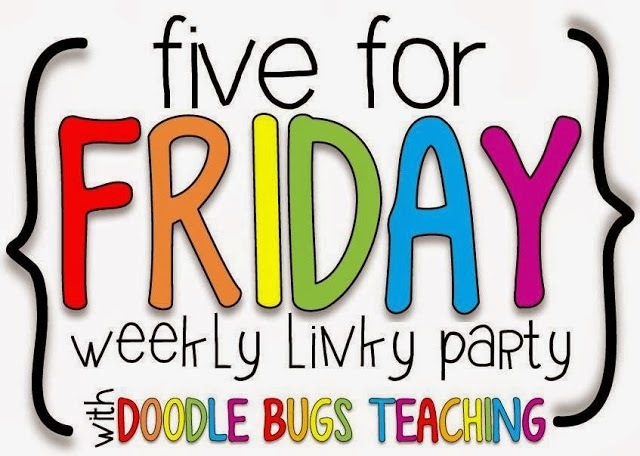 So you may see these again on the blog for either a "made it Monday" craft or as a sight word brief-case. I've been trying so hard to get myself back to healthy. Maddux is now 8 weeks old. I have been eating much healthier and drinking lots of water. I have been doing really well avoiding Coke and other sodas. However, the exercise routine has looked about like this!! After chasing around my 4 and 5 year old boys and getting up with the baby, I feel like doing "diddly squat". 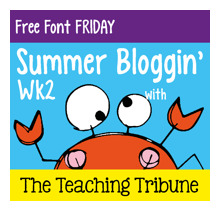 We are also linking up with The Teaching Tribune for Free Font Friday! Stephany is so talented and crafty. I wish I had half the writing ability she has. I am always walking down to her classroom so that she can make a sign or anchor chart for me. Love the font...I tried making one once and found one more thing I am not good at! Envious of those who are...thank you for sharing! I'm going to need that font! That water park looks awesome. I've been spending a lot of time at the pool! I am loving this font!! 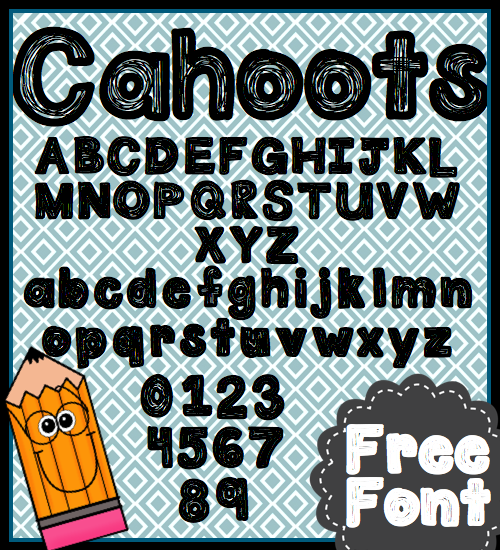 I am trying to make my first fonts! I see that the font is free for commercial use, does that include for use in blog designs? this is my favorite exercise, too. That font looks awesome! Thank you so much for sharing with us!! Health wise, just remember small steps make big differences in a long journey, as you have a chance to recharge your batteries, relax and unwind you will find the energy to do more, in the mean time celebrate the changes you have made - that coke thing is a hard one!! What is this Summer Bloggin' business I keep seeing!? Is it a daily link up for summer? Go to The Teaching Trubune blog. You can link up there. Our school mascot is the loggerhead sea turtle so our PBIS is centered around our SAND procedures. S - safety first, A - active learning, N - never ending pride and D - demonstrating respect. We then have what SAND looks like in the class, halls, bathrooms, etc. posted throughout the school. Love seeing how other schools are doing PBIS too.